The American Academy of Pediatrics says school-age children (7 to 18 years old) should limit consumption of fruit juice to 8 ounces a day. Preschoolers (ages 4 to 6) can have 4 to 6 ounces a day, while toddlers (ages 1 to 3) should have no more than 4 ounces a day, and babies should not drink any juice at all. How much fruit juice should kids drink? Not very much. That’s the essence of the juice policy statement from the American Academy of Pediatrics. School-age children (7 to 18 years old) should limit consumption to 8 ounces a day. Preschoolers (ages 4 to 6) can have 4 to 6 ounces a day, while toddlers (ages 1 to 3) should have no more 4 four ounces a day, and babies should not drink any juice at all. Given that most Americans need to increase the amount of fruit and vegetables in their diets and that good diet habits can be established during childhood, why is juice so worrisome? LeRoy helped create a program with his county’s public health board called 5-2-1-0. The name refers to five daily servings of fruit and veggies, a two-hour limit on screen time, one hour of physical activity, and zero sugary drinks. It’s a simple rule of thumb for a healthy lifestyle for all county residents. There are pure juices and then there are juice beverages or cocktails; the latter typically has some added ingredients, such as sugars or preservatives. 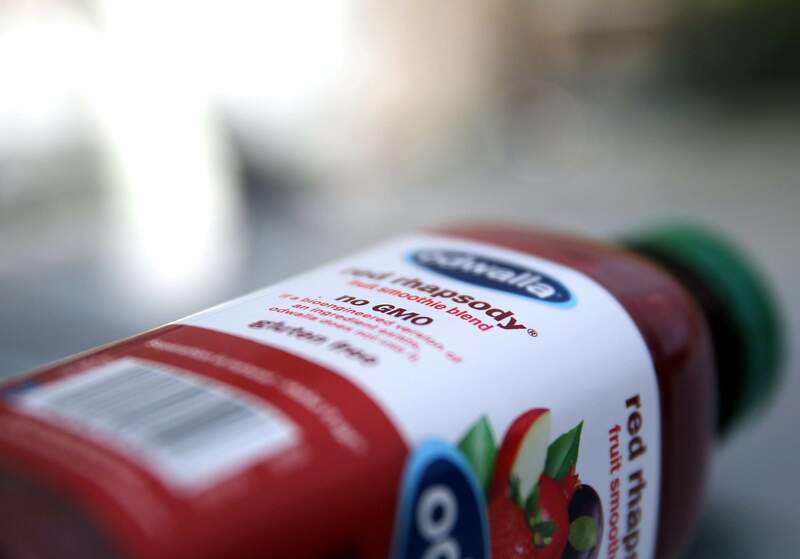 Anything labeled 100 percent fruit juice comes only from fruit - that means no added sugar. But that doesn’t mean no sugar at all. A 4.23-ounce juice box of Mott’s apple juice contains 14 grams of sugar, and the same-size serving of white grape juice from Apple & Eve has 15 grams. That’s more than three teaspoons’ worth. A six-ounce box of Minute Maid orange juice contains 18 grams of sugar, similar to the same-size serving of Coca-Cola (19.5 grams in half a 12-ounce can - all added sugar in this case). Nutrition standards for federally funded day-care centers were last updated in 2016. Those standards are very similar to the AAP ones: No juice for infants in their first year, a single daily four-ounce serving for 1-to-3-year-olds, and a single daily four-to-six-ounce serving for 4-to-6-year-olds. When juice is served at a day-care center, it can take the place of a fruit or vegetable serving, says Bettina Elias Siegel, a writer and commentator on issues involving children and food policy. That means a center can follow the rules while serving a breakfast of a frosted pastry (whole grain) and an apple juice, which is a sugar-laden meal. It’s not the juice itself that’s so bad, it’s what the juice replaces. Everyone I talked to made the point that apple slices are a better choice than apple juice. The apple slices contain valuable dietary fiber, and they take longer to eat, which slows down calorie intake. Many national restaurant chains have stopped automatically serving soda as part of kids’ meals and may offer a choice between milk (sometimes chocolate milk) and fruit juice. Juice is a healthier option compared with soda, but that doesn’t mean it’s healthy. “This persistent health halo keeps juice in children’s diets,” Siegel says. Still, Siegel recognizes the pluses of juice, particularly for a large food operation. “Juice is popular, easily stored, takes no preparation, and is probably cheaper” than whole fruit, she says. Parents may want to know what their kids are consuming at day care or an after-school program. If kids are drinking juice there and parents are trying to follow the recommendations of the AAP, that means no juice at home on school/day-care days. LeRoy talks to young patients and their parents about diet at well-child visits. If he sees a child in a carrier with a bottle of juice, he’ll use that as a teachable moment. He’s got tips, too. “With little kids, you can add water to 100 percent fruit juice,” he says, satisfying both taste and nutrition goals.